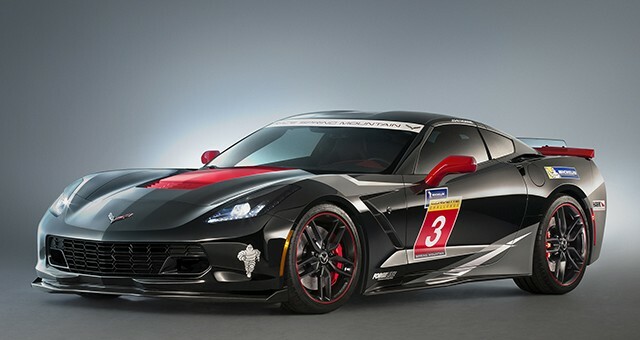 One of the biggest announcements from Chevrolet at this year’s SEMA Show in Las Vegas was the launch of the Michelin Corvette Challenge racing series. The spec racing series will be held at Spring Mountain Motorsports Resort and County Club and will see amateur racers go head-to-head with each other in identical Corvette Stingray racecars throughout the year. That doesn’t cover the costs of the race weekends – each of which should cost competitors about $7,900. That sum will cover 6 sets of Michelin tires, a spotter, pre-event mechanical prep, mechanical maintenance support, fuel and access to the social and marketing team. Altogether, one season the Michelin Corvette Challenge will run you $179,200. It’s not the cheapest way to get into racing, but if we had the money, we wouldn’t hesitate to sign up for even a minute. If you think you’ve got what it takes to compete in the series, head on over to MichelinCorvetteChallenge.com to sign up.